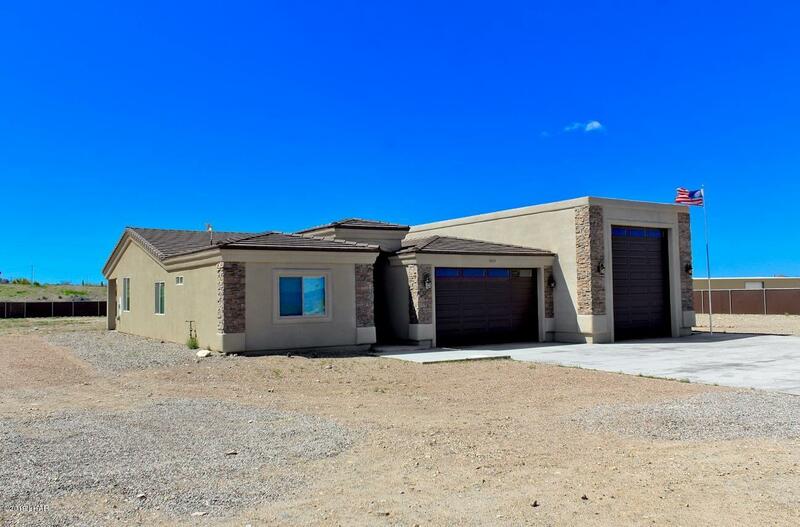 BEAUTIFUL NEWER KELCO BUILT HOME LOCATED ON 1.78 ACRES IN THE DESIRED HAVASU HEIGHTS COMMUNITY! YOU CAN DRINK RIGHT OUT THE HOSE HERE AS HAVASU HEIGHTS HAS IT'S OWN WATER DEPARTMENT! DO NOT LET THIS AMAZING 3 BEDROOM, 2 BATHROOM, RV GARAGE HOME PASS YOU BY. ALMOST 1900 SQ FEET OF LIVING WITH A GARAGE THAT IS OVER 1500 SQ FEET. OVER HALF THE PROPERTY HAS PRIVACY FENCING AND THERE IS PLENTY OF ROOM FOR LIVESTOCK, MORE GARAGES AND A POOL. YOU CAN OWN A HOME THAT YOU CAN ALMOST CALL BRAND NEW ON ACREAGE! CONTACT ME FOR A SHOWING TODAY.